For those considering building without a septic tank or access to a sewer line, it might be time to look at composting alternatives, especially if putrid smells can be avoided. Swedish-based BioLet has manufactured waterless toilets for 35 years and indicates odor is not a problem, especially in Sweden where waterless toilet systems are required in many places. Here, the average American uses 7,665 gallons of water each year just flushing the toilet. That is certainly true for the number of shopping options that exist today. 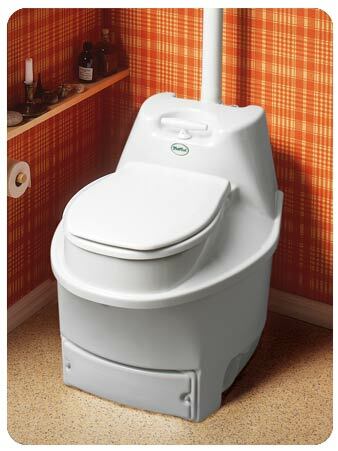 Try an Internet toilet mall, for instance, called http://www.compostoilet.com/ which offer a variety of composting toilets including Sun-mar and Biolet brands. The green toilets use little water and are designed to help the environment while reducing your water bill. The principle is very simple. Human waste is transformed into a dry, odorless material that can easily be disposed of, or even recycled back to the earth. The toilet consists of various control mechanisms that guarantee an odor free operation and let’s the proud owner of a BioLet appreciate the benefits of having a fully functional toilet while doing his or her part to protect their nation’s precious water resources. For more information, BioLet’s video archive provides much worth watching. Waste Management Anyone? 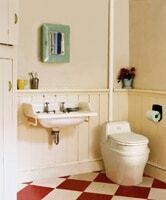 Try a Composting Toilet.